Is this the Best Sun Peaks Chalet For You? Another contender for the Best Sun Peaks chalet is the ‘Moosehead Lodge’, a spectacular 5 bedroom, 4 bathroom, open concept, perfectly located Sun Peaks ski home with plenty of windows and amazing views. It features an open, spacious floor plan, with high, cathedral ceilings and plenty of beautiful woodwork throughout which welcomes your group or family after a wonderful day enjoying the many nearby amenities at Sun Peaks no matter the season. This luxurious Sun Peaks chalet comfortably sleeps 14 so you can easily share this ski-in/ski-out, slope-side home with several families to make it very fun and affordable. You might also want to take full advantage of this amazing space to have a gourmet dinner prepared and catered to you by red seal chefs!? Or have a Mercedes touring van pick your group or families up from Sun Peaks and guide you to nearby Kamloops or Okanagan wineries for a custom Sun Peaks winery tour or even plan your own special and luxurious in-suite massage. If you have a large group coming and want groceries picked up for you and delivered right to your Sun Peaks chalet - no problem either! 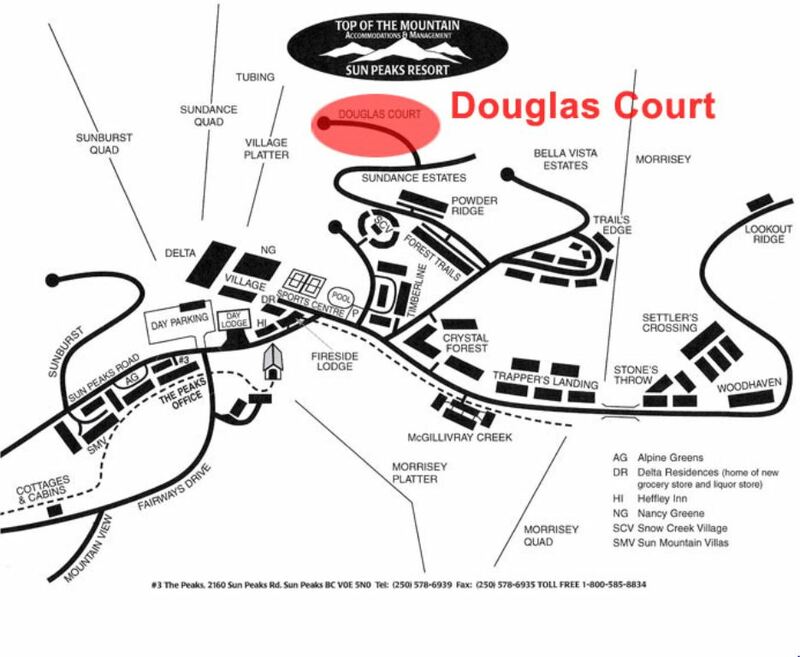 The Moosehead Lodge is located in the beautiful Douglas Court area, just above Sun Peaks village at the top of the platter lift and near the Sun Peaks Tube Park. Ski-in/ski-out is a breeze and this is a wonderful location for your Sun Peaks vacation. The beautiful upper master bedroom has a fireplace, ensuite and king-size bed, and the lower master has a king-size bed and ensuite bathroom. The third bedroom has a queen size bed, and the 4th and 5th bedrooms both have 2 sets of bunkbeds in each. There is a 2 car garage, barbeque, hot tub, and even a pool table for family fun in the lower entertainment area. Best Sun Peaks pricing discounts may also apply when you click this Best Sun Peaks Chalet link and then click on the Douglas Court property to see more pictures of this beautiful ski chalet. 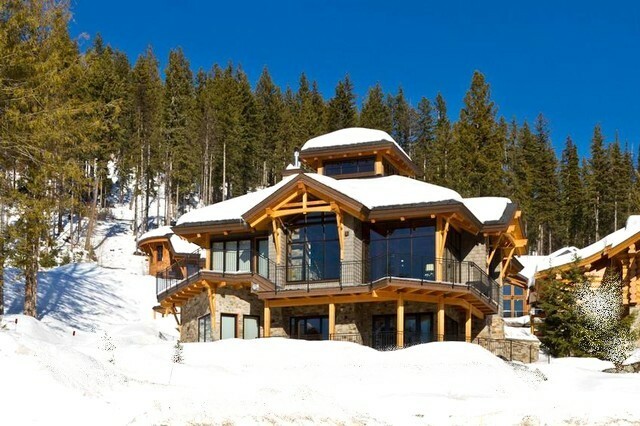 You may also want to check out this spectacular Sun Peaks ‘Cabin’ as well if you are looking for a luxurious chalet to rent. The price starts at around $900/night and up, depending on the season. Book directly and save the new VRBO service fee too - up to a possible 20% discount on Sun Peaks accommodation when talking the typical online booking fee into account. Townhouses are almost as spacious and make for a wonderful home-away-from home. Check out our Best Sun Peaks townhouse in Trapper's Landing, as well as a nice townhome in Trail's Edge, as well as other Sun Peaks Vacation Rentals By Owner.